Home > Blog > Advertising > Google Expands its Expanded Text Ads … AGAIN! Sheesh! I take one little vacation and come back to a brand new set of rules for ad copy character limits in Google. These changes to Expanded Text Ads were announced in relation to responsive search ads earlier this month, but they just rolled out this past week – of course while I was floating on a tube in the middle of the Lake of the Ozarks. Remember back in 2016 when Google went from standard text ads to expanded text ads, adding a second headline, combining two descriptions into one longer description, and adding two URL paths instead of a display URL? Well, they’ve gone and done it again. This time, you get a third headline, an expanded description of 90 characters (compared to 80 characters previously) and they’ve thrown in a second description too. 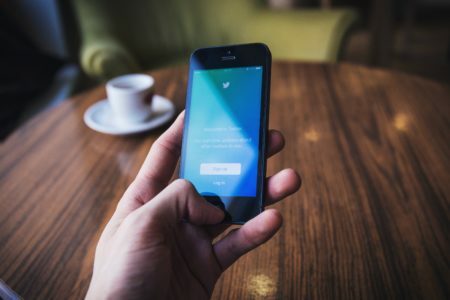 With all these additions, text ads are now 300 characters in total and have the potential to take up significantly more real estate in the search engine results pages, making them more likely to grab attention and, more importantly, clicks. How Can I Implement the Revised Expanded Text Ads? The new Headline 3 and Description 2 fields are now available in the Google Ads platform. Log in to your account and click “copy and edit” on an existing ad to create a new variant and these new fields will appear alongside the original expanded text ad fields for you to customize. Make sure you’re still following the Google best practices for compelling ad copy too. Will All New Expanded Text Ad Copy Show in Search Results? Not necessarily. According to Google, you can safely count on at least Headline 1, Headline 2 and Description 1 appearing for your ad in search results. Headline 3 and Description 2 are optional fields that are not guaranteed to appear but will be displayed when space allows. What Will Happen to My Previous Expanded Text Ads? Nothing. So, don’t panic and pause all your existing expanded text ads – they’ll still run just fine. At this point, Google has not announced any plans to sunset the original Expanded Text Ads – or even the old Standard Text Ads for that matter (although you are no longer able to edit them). 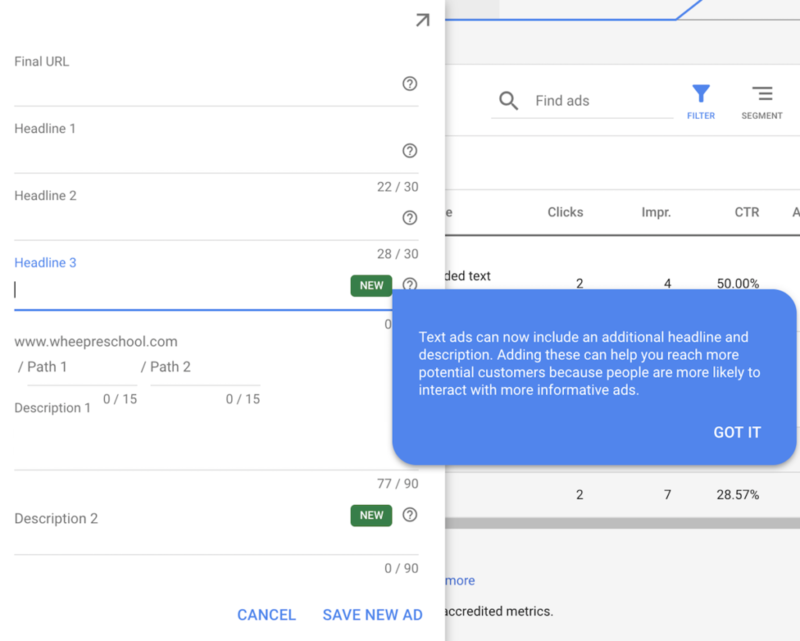 Even so, we encourage you to dig in and create some of the new expanded ads to see how they perform as the older, smaller versions of the ads are unlikely to perform as well as the larger, more informative ads. Just make sure you put the most important information in Headline 1, Headline 2 and Description 1, just in case the new fields are omitted due to space.